I just watched the teaser trailer from Walt Disney Animation Studios’ BIG HERO 6 and it is adorable and hilarious. From the creators of Frozen and Wreck-It Ralph, I would expect no less for their next project. From what I gather, Big Hero 6 is an action-packed comedy adventure that involves robotics prodigy Hiro Hamada who needs to join forces with his brother Tadashi and their like-minded friends: adrenaline junkie Go Go Tamago, neatnik Wasabi, chemistry whiz Honey Lemon and fanboy Fred to transform into heroes and solve the mystery plaguing the streets of San Fransokyo. The task at hand seems challenging if you've watched the teaser. Hiro's closest companion, Baymax (that white fluffy thing up there) is part of the hero transformation and as you can tell, he's more clumsy and cute than heroic! Fransokyo, cute name right? Combination of San Francisco and Tokyo. The movie is inspired from the Marvel comics that have the same name. This year just has too many great films coming up! 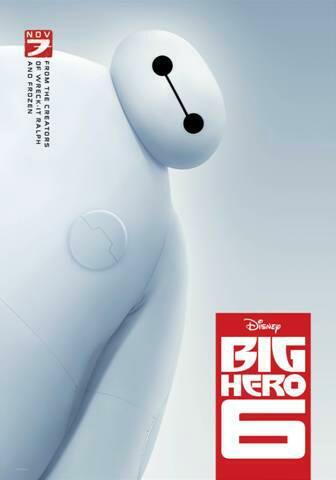 BIG HERO 6 opens in theaters on November 7th.